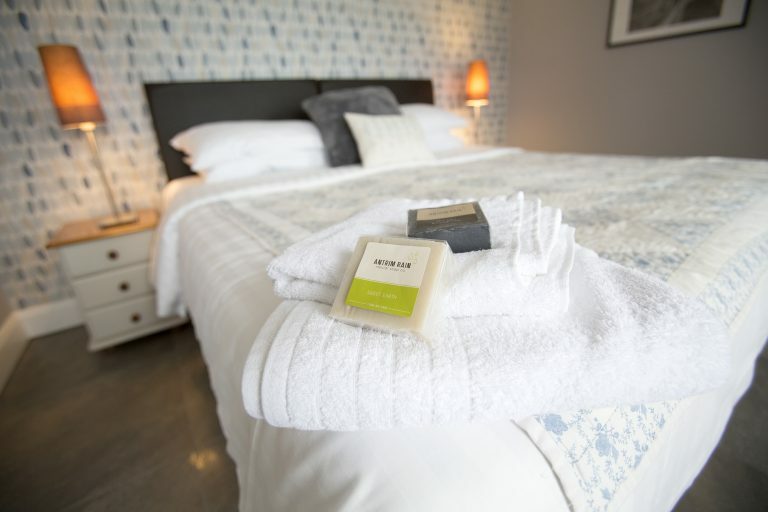 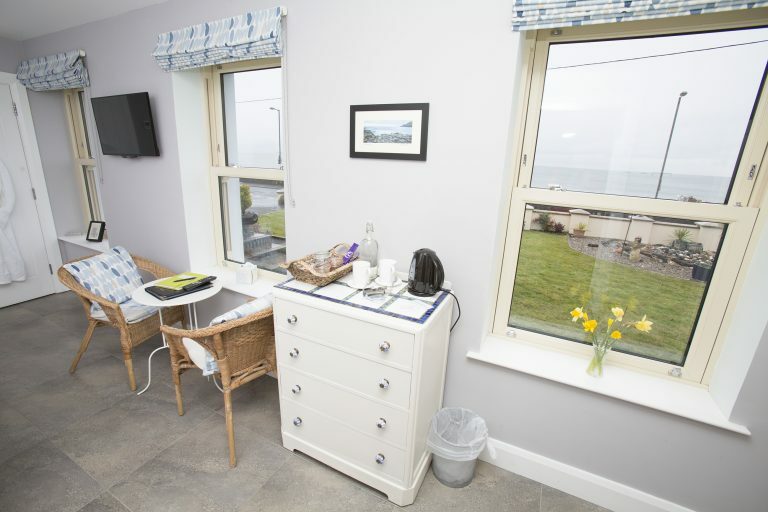 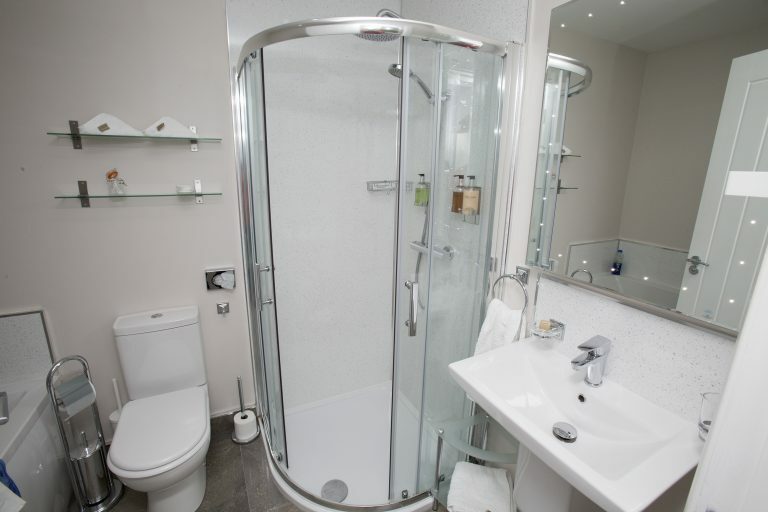 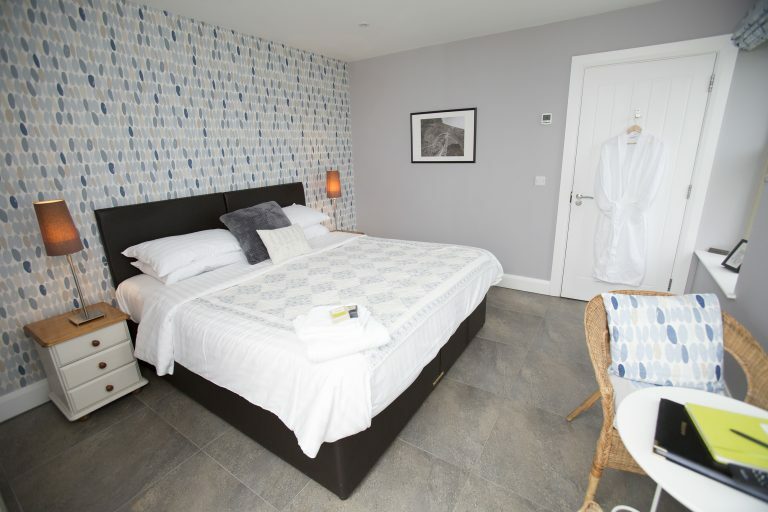 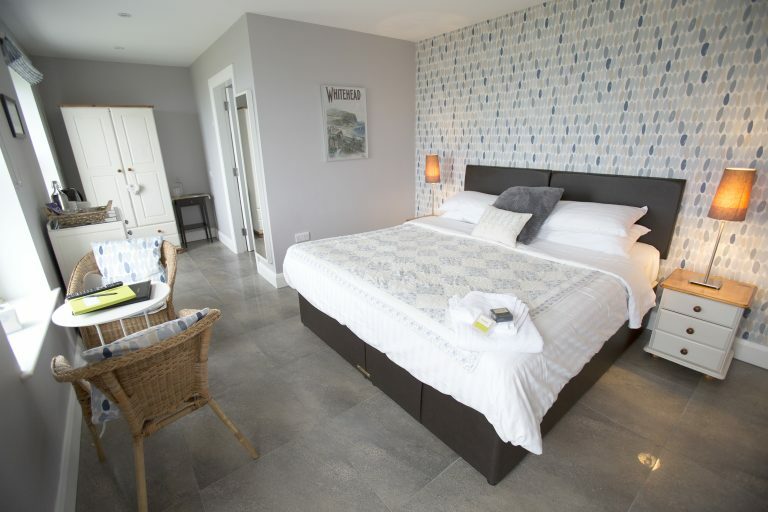 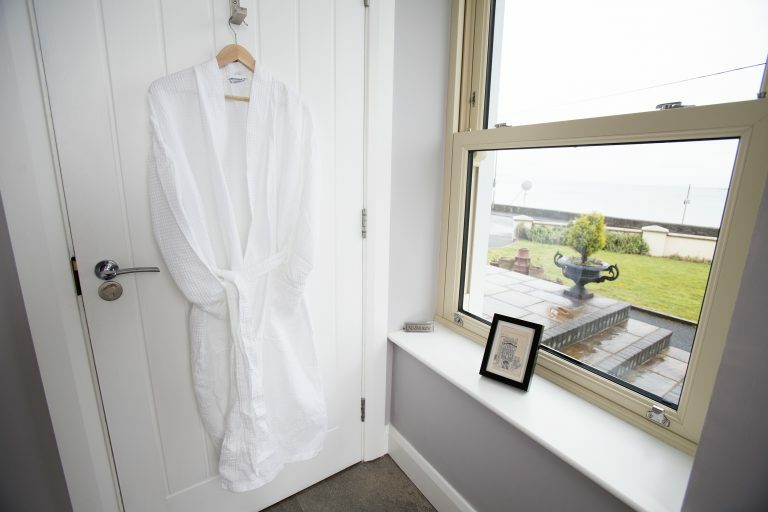 Beach Room is our most spacious and is a light, airy, tranquil, ground floor room, individually designed with your comfort in mind. 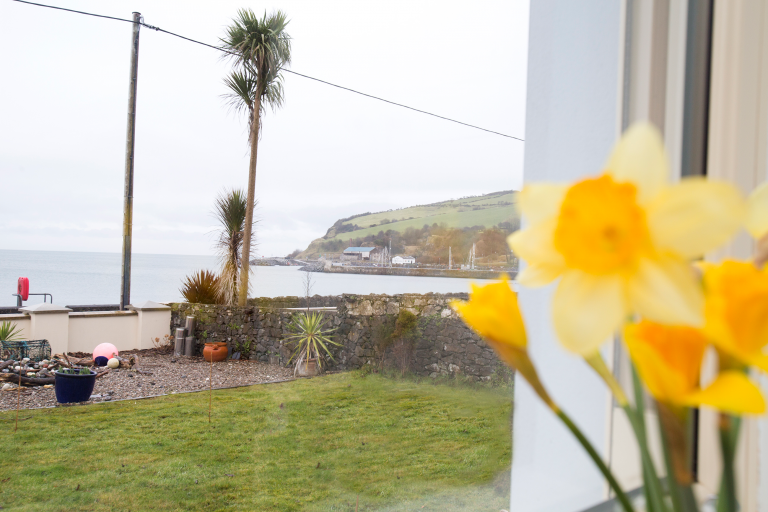 Captivating coastal views greet you with their ever-changing colours through three large sash windows – just open the window to hear the sounds of the sea on the shore and breathe the smells of the ocean before you. 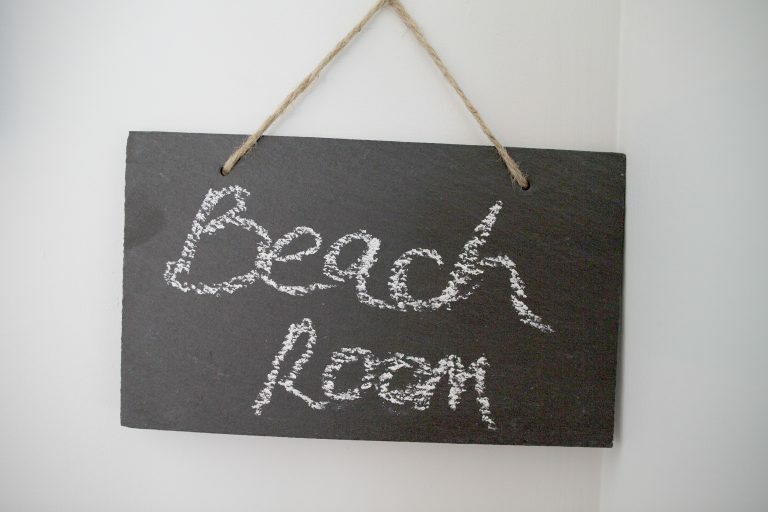 Beach Room from £100 per night based on two persons sharing. 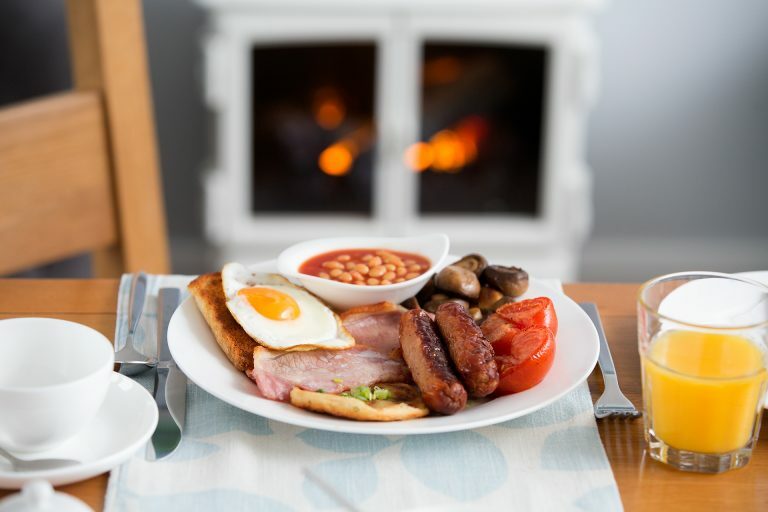 Full home cooked breakfast included.